Welcome to MAKBlog. A first for all of us here at MAK Magic, our own blog. Technology has come so very far since we started over forty years ago as MAK Magic and even longer as UF Grant Magic. We went from the US Post Office to FAX to websites and emails and now a blog in only a few decades! 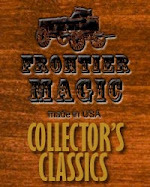 Throughout the year and on a monthly, biweekly or even weekly basis we will have several folks from staff write articles and reviews on magic and the newest items and DVDs on the market. We hope you will find this feature useful and will email us any suggestions on ways to make MAKBlog more valuable to you. Look for feature articles from Steve Branham and Carroll Baker.